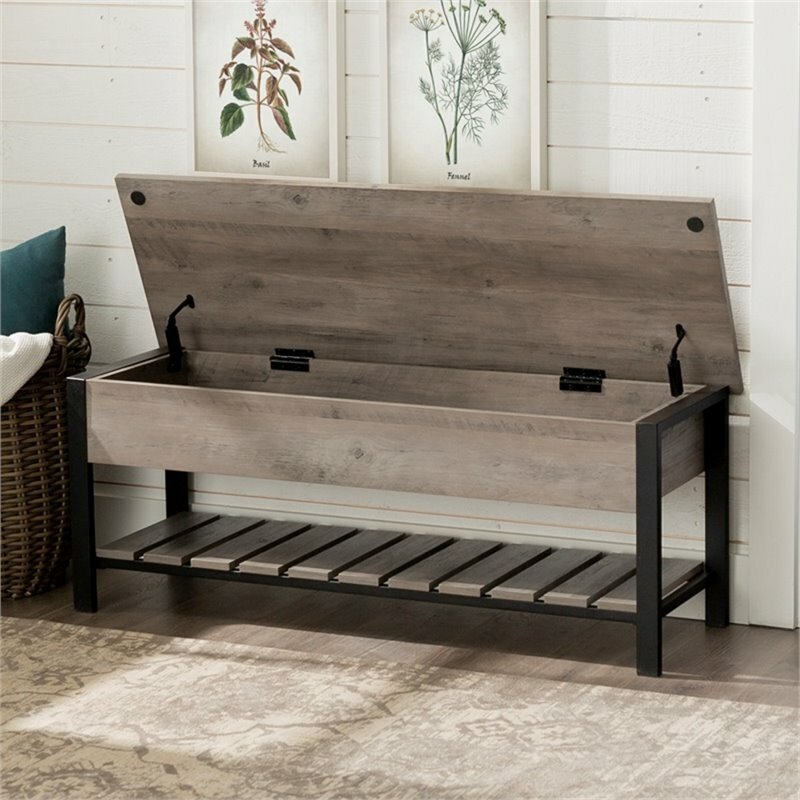 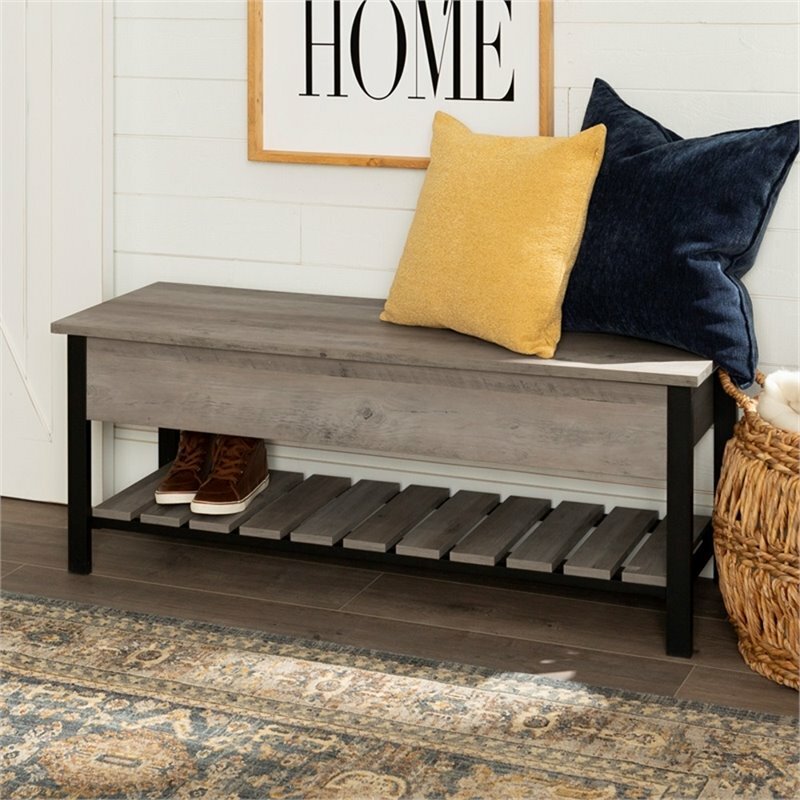 This bench is beautiful and functional; providing ample storage and style for your entryway or hallway. 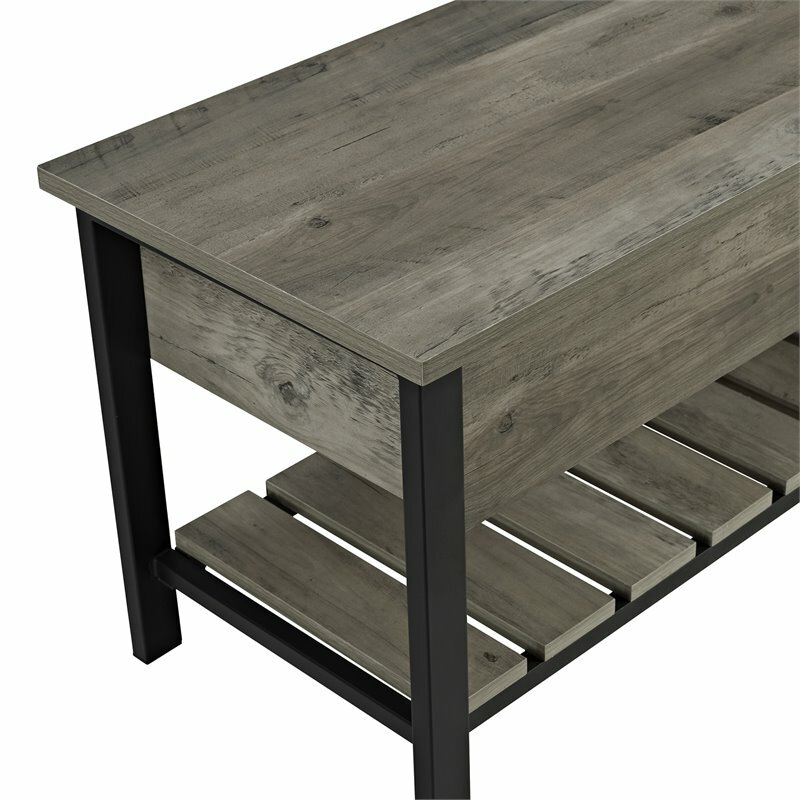 The natural wood finish and powder coated metal give it a unique design that's sure to complement a variety of home décor. 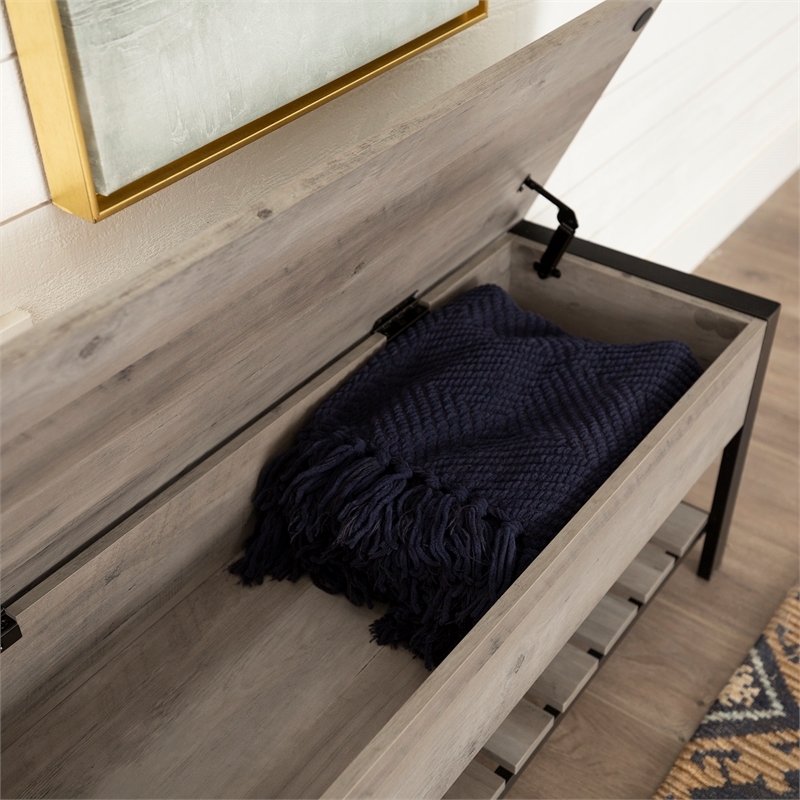 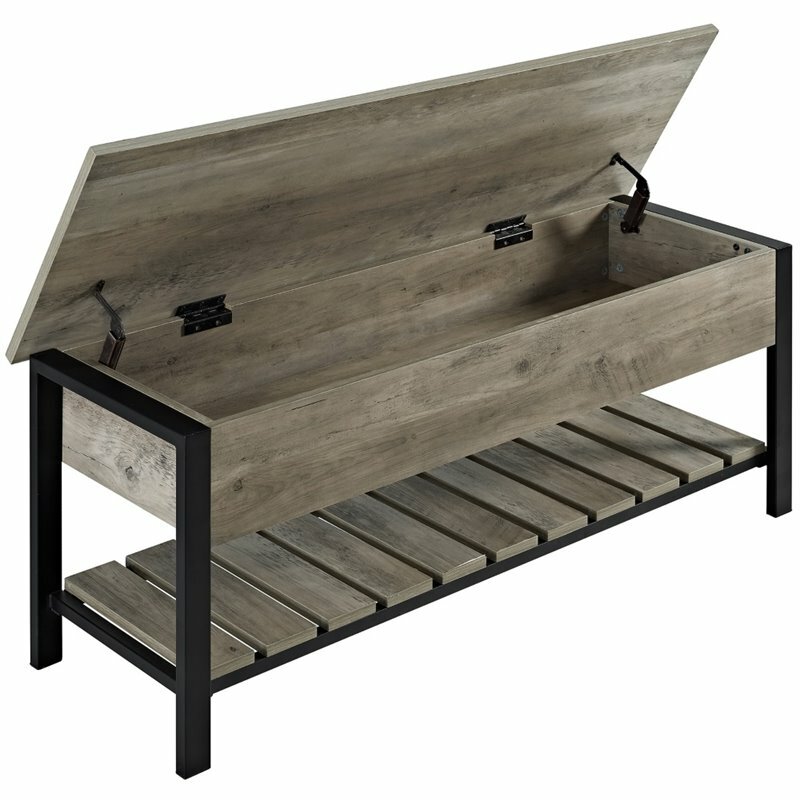 The open top storage space as well as the bottom slatted shelf are the perfect place for your shoes and accessories that you need when you're headed out the door. 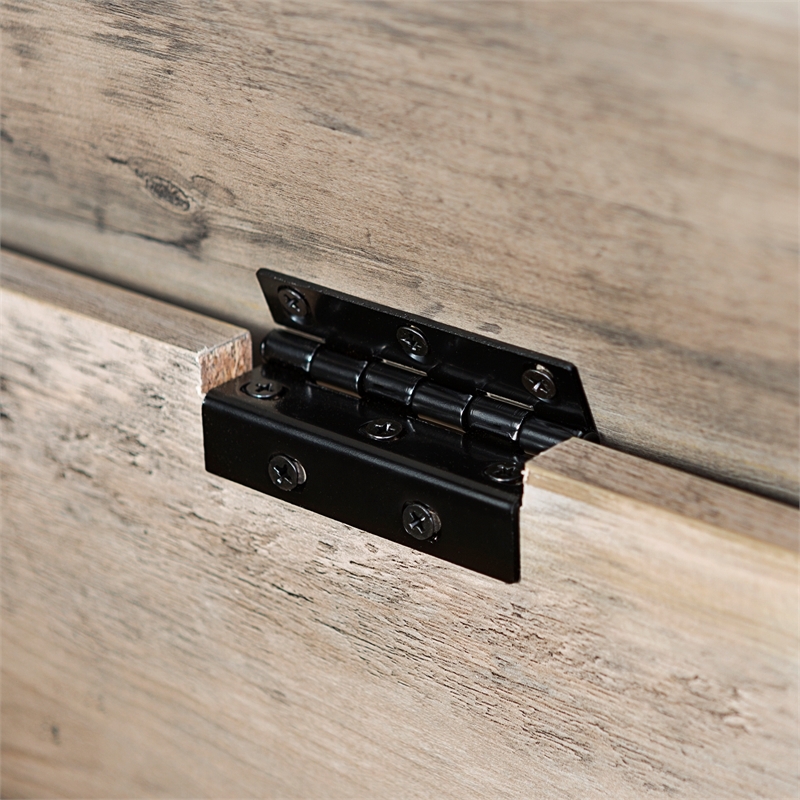 Durably constructed and beautifully designed, what's not to love? 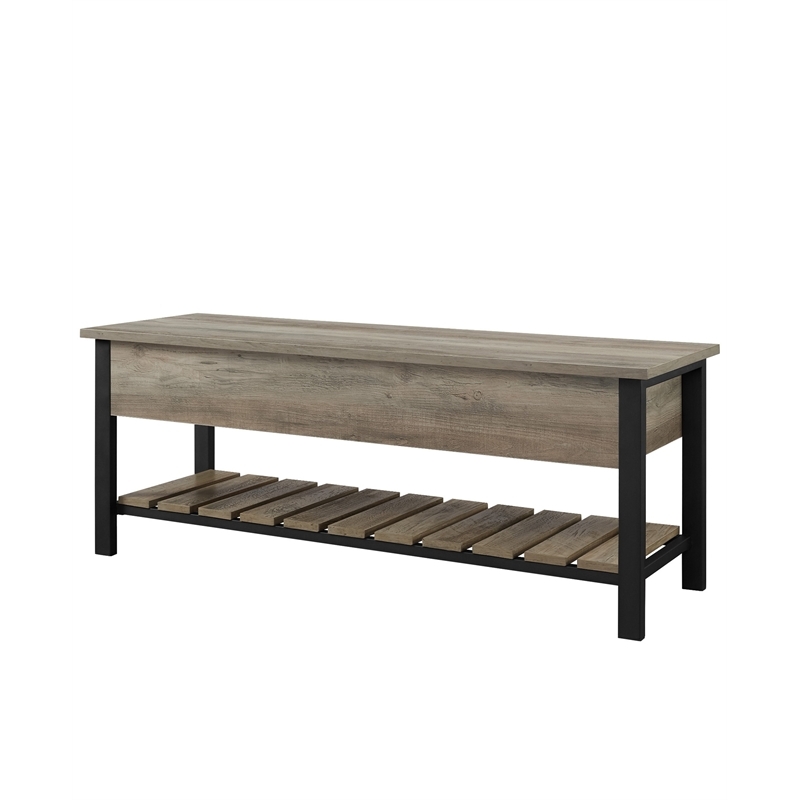 This consumer rating is based on 203 reviews of all Walker Edison products. 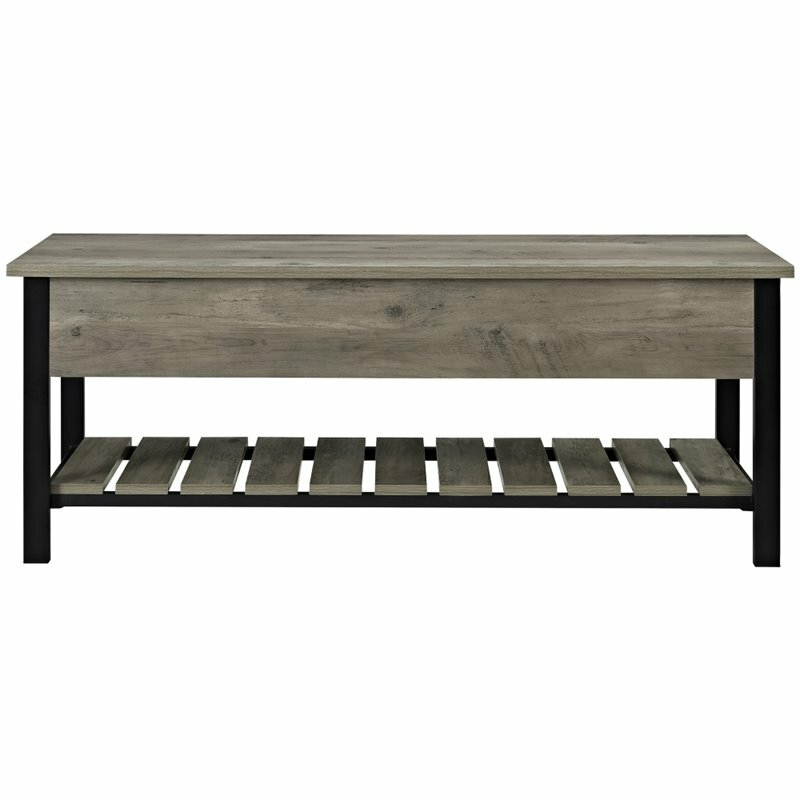 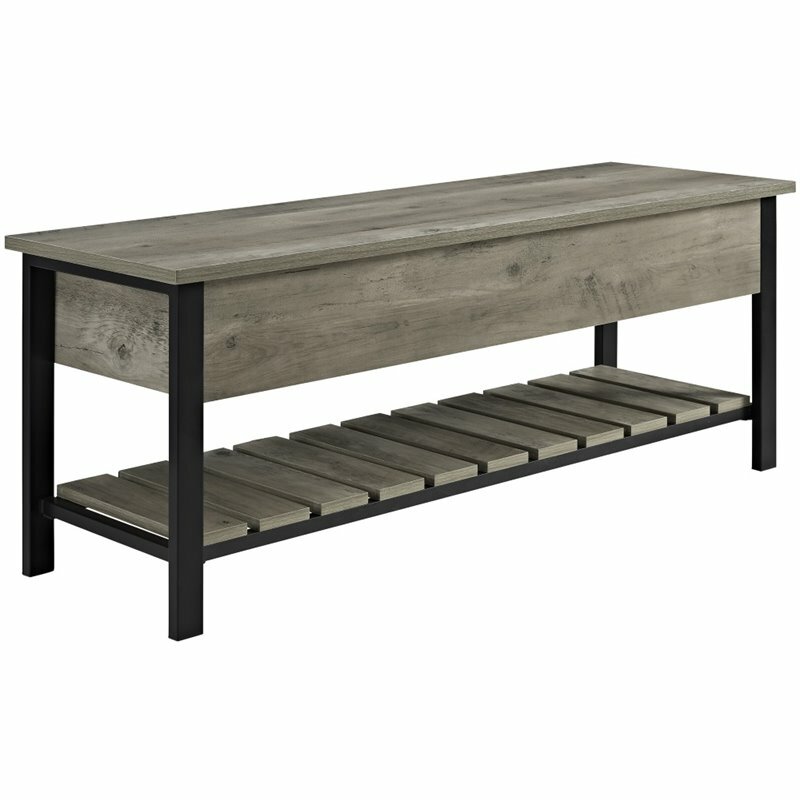 The 48" Open-Top Storage Bench with Shoe Shelf in Gray Wash has not yet been reviewed, be the first!